to keep him tho. but, not the thing to do. And not LEGAL either. Here are a couple of pictures to show you. 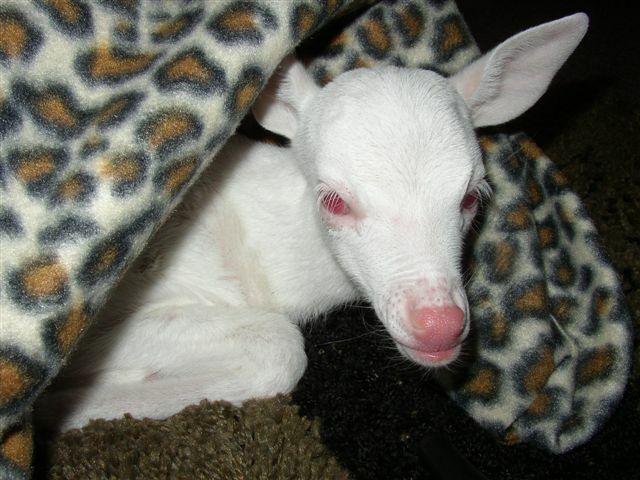 He was snow white, pink eyes, ears, nose and hooves. Kids called him POWDER. 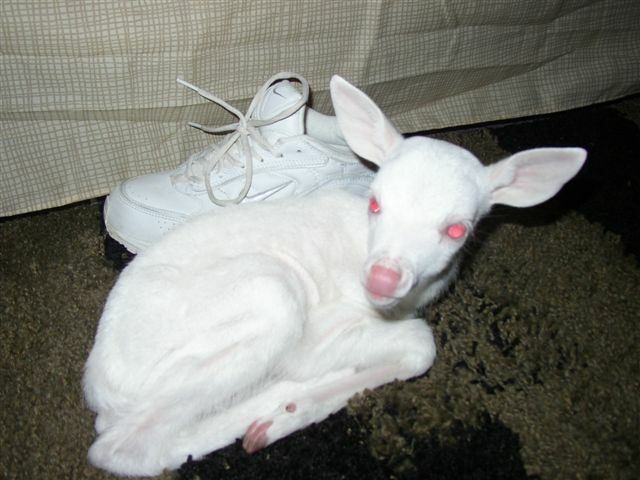 He was SO small… That is my shoe lying beside him… a lot of folks have never and will probably never see even another picture of an Albino deer fawn. This Is Definitely How My Lawyer Would Act! A very successful lawyer parked his brand new Porsche Carrera GT in front of the office, ready to show it off to his colleagues. As he got out, a truck came along too close to the curb and completely tore off the driver’s door. Fortunately, a cop in a police car was close enough to see the accident and pulled up behind the Porsche, his lights flashing. But, before the cop had a chance to ask any questions, the lawyer started screaming hysterically about how his Porsche, which he had just picked up the day before, was now completely ruined and would never be the same, no matter how hard the body shop tries to make it new again. “OH, MY GOD!” screamed the lawyer.